AS9100 Suspended? Oxebridge can help. 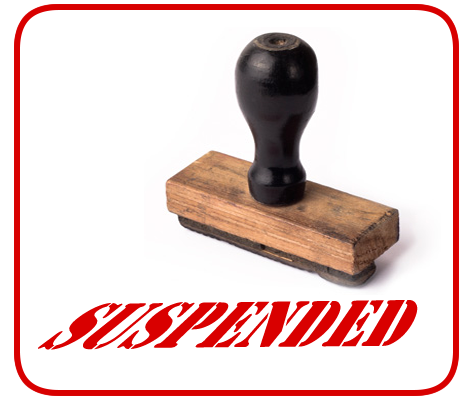 If you find yourself in the unfortunate position of having your AS9100 certification suspended by your registrar, you may feel frustrated and confused. Making matters worse, there are no consultancies who have services to help restore your certification. Well, now you have an ally. Oxebridge can provide AS9100 Restoration Services no matter how serious the issues surrounding your suspension. For invalid findings, we can help craft suitable, respectful responses to help have the nonconformities removed, based on factual data and citations from IAQG official position papers. For valid findings, we can help craft robust root cause analysis responses and thorough corrective action plans. And, of course, we can do this all while helping you navigate your company’s responses in OASIS. Because no two suspension circumstances are the same, we will need to review your situation closely before developing a plan and price proposal. If the response can be crafted in a few hours, off-site, it’s possible that Oxebridge can help you at no charge. Typically, however, a more detailed response and analysis is required, and in severe cases, an on-site visit to help craft corrective actions and implement them. To begin, we will need to sign your company’s Nondisclosure Agreement (NDA); if you don’t have one, Oxebridge can submit a generic NDA. With this in hand, we can begin to analyze your OASIS data, audit findings and responses to date. To get started, start a conversation with Oxebridge today. A 300-employee Boeing supplier faced AS9100 suspension after years of drive-by auditing by their prior CB. Their new CB found significant findings, resulting in the threat of disqualification by Boeing. Oxebridge helped close all the findings and avert a full plant closure in only six weeks. A small 3D scanning and additive manufacturing services company with only 10 employees found themselves without AS9100 after an auditor “hardgraded” a series of findings. Oxebridge was able to get the findings resolved and the AS9100 restored in only two weeks. An aerospace metal finishing company was hit with multiple major nonconformities after the CB changed auditors. Oxebridge was able to assist in eliminating some of the findings outright, reducing some others to minors, and to help restore the AS9100 certificate in two months.